Takashi Utsunomiya was born on October 25th in Tokyo. 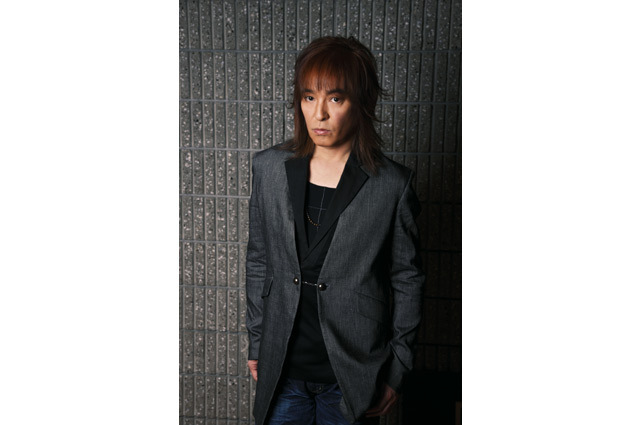 He formed TM NETWORK with Tetsuya Komuro and Naoto Kine in 1983 and in 1984 the band debuted from EPIC/SONY. They released hits such as “SELF CONTROL” “「GET WILD” and in 1988 they had a successful Tokyo Dome show. This year their performances incorporated musical elements, going to 26 cities all over Japan. In 1990, they changed the band name to TMN and he released his solo single as T.UTSU titled “Trouble in Heaven”. TMN broke up in May 1994 at the stage of Tokyo Dome 2 day show. Next year, he released two singles as BOYO-BOZO , a duo project with Dashi Ishii. Since then he has been active not only as a singer but also in other genres such as playing the main character in “RENT” for two years in a row.1 IN 1999, TM NETWORK reunited and in 2000, their music evolved into a dance music with progressive elements. In April, 2002, he signed with R&C Japan and released a single titled “blue reincarnation”. In July, he released his second single from the label “Remedy” and an album “TEN to TEN”. In September 2003, he released his 6th album, “wantok” produced by Ken Yoshida. April 2004 marked TM NETWORK’s 20th anniversary and the band had a celebration concert titled “TM NETWORK DOUBLE-DECADE”NETWORK”in YOKOHAMA ARENA” at Yokohama Arena. In May, they went on to seven city-10 venue tour “TM NETWORK 20th Anniversary Tour titled “TM NETWORK DOUBLE-DECADE TOUR “NETWORK”. In September 2015, he had three city, eight venue tour titled “Takashi Utsunomiya U_WAVE 10th Anniversary Tour 2015 -FIFTH ELEMENT-”.